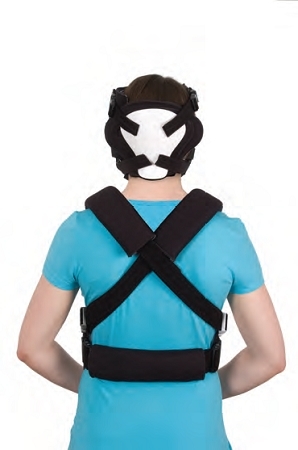 The Lerman Non-invasive Halo is an effective treatment option that provides stabilization without pins. 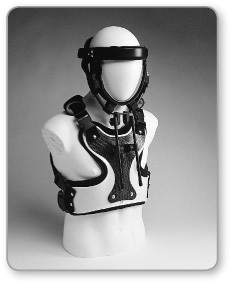 Instead, strips of silicone gel on the headband and chin hammock adhere directly to the skin, effectively limiting movement. 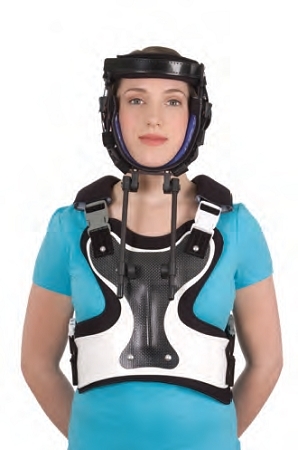 A simple locking double-pivot slide mechanism connects the vest to the chin component, allowing for quick and easy cervical distraction and/or flexion/extension. 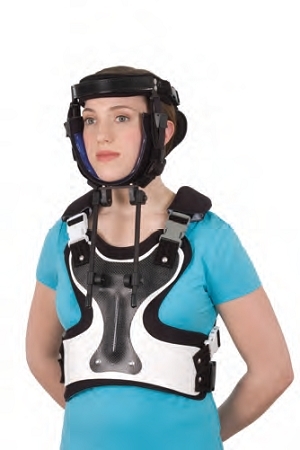 Find accessories and pads for the Lerman Non-Invasive Halo here.